At lunch and dinner, guests will have a chance to choose from more than 10 buffet menus of meat, fish and vegetables and some of Romagna’s typical recipes with homemade pasta and freely help themselves to a rich buffet also suited for vegetarians including starters, side dishes and vegetables. Once the meal is over, we offer fresh fruit and a dessert of your choosing. On request, we provide a TAKE-AWAY SERVICE so that you can take your lunch to the beach. Holidays at Lotus Hotel are enriched by parties and theme evenings held inside the hotel or by the pool. Our staff arranges events for adults and children such as workshops, courses, games or amusing theme evenings among which the ethnic night, the Romagna-style night and the gala dinner. Romagna-style Dinner: My Romagna, Romagna’s typical Dinner with Piadina, Stracchino, Sangiovese and……the BALLROOM DANCE! Poolside Happy Hour: all Sundays the dinner starts by the pool with a KING-STYLE happy hour!!! At lunch and dinner you have a choice of a meat or seafood menu and traditional Romagnola recipes with fresh homemade pasta. You can help yourself to a buffet with appetizers, side dishes and vegetables which offers a great array for vegetarians. 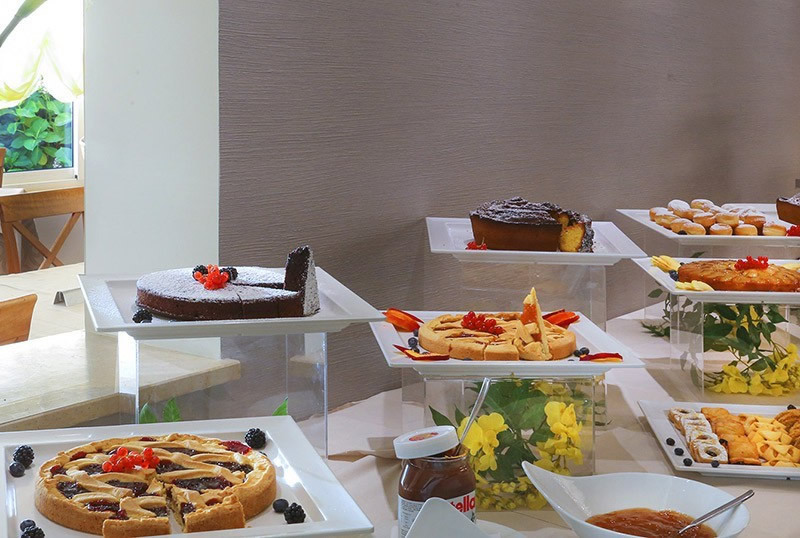 To end your meal you can enjoy a choice of desserts or fresh fruit. Lunch at the beach is possible on request. Holidays at the Lotus Hotel are enhanced by parties and theme nights that are held in the Hotel or by the pool. Our staff plans events for adults and children such as workshops, courses, games and fun theme parties such as a Romagnola night, ethnic nights or gala evenings. Dinners with a gastronomic theme. Romagnola evening- “Romagna Mia” for a typical Romagnalo dinner with Piadina, Stracchino, Sangiovese and ……Let the dancing begin! Drinks by the pool- every Sunday dinner begins by the pool with drinks fit for a KING! Goods: appearance, forniture, food, swimming pool, coordialityBads: small rooms, small dinner room, kids playground area not cleanNotes: depending on the offer, the beach service may be at 100 mt or 600 mt from the hotel. In the offer they do not report the distance, only the beach nr ... not quite fair. 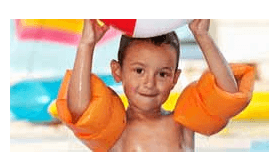 Offer 4th week of June with 2 free parks Mirabilandia and Beach Village FREE!